No matter what age group you’re targeting or where you are, email remains a great way to reach your audience. Making email marketing is not only cheap but also more effective if done properly. Every business needs a solid email marketing strategy. Myth: People hate receiving publicity messages via email. In fact, research shows that people read their emails and have no problem with that as long as emails are important, interesting, and specific to their needs. Email marketing has not ‘died’ as some say; email marketing is just changing. Sending effective emails is key to your marketing strategy. Here are some reasons why email marketing has died and is unlikely to be ‘dead’ and should be absolutely part of your company’s marketing strategy. When the only place to receive emails was on your computer – maybe a laptop, if you thought of bringing an ethernet cable with you – people wanted things out of it. Ironically, now that e-mail is available in your pocket 24/7, people have expanded their definition of a quality email. Now almost everyone has a mobile device and can check email at any time, from anywhere. Through email marketing, your company can benefit quality, targeted communication for a variety of potential customers. Text messaging and instant messaging services are often just for friends, but email can be read as easily and quickly handled while people are on the go. People want to stay informed about the things they are interested in, such as when your company is launching its new product, but few people spend time regularly returning to websites to stay up to date on a company’s business. You can always send transactional emails such as welcome emails, coupons, etc. Most consumers would like to receive tempting offers via email newsletters. Email marketing is one of the most effective ways to improve your image in the eyes of the customer. The key to being a positive source of information, rather than an inconvenience in the mail, is the choice. Do not hesitate to send emails to people who have not already told you they are interested. In this way, maximize your efforts to an audience that is more likely to make a purchase. Email marketing is extremely handy, especially when compared to other methods such as radio and television advertising. If a campaign is weak, the cost is amortized easily, adjustments are made and a new campaign via email is prepared. With email marketing, revenue can be increased, always if done the right way. Compared to traditional direct marketing, email marketing is almost immediate: once the campaign has been sent, the reception and reading times are practically nil and therefore negligible. In addition, the email tends to stimulate faster responses – generally up to 10 times more – a result that traditional direct marketing cannot achieve. So, it’s always a good idea to use email marketing. Email marketing, if done correctly, allows the measurement of ROI (return on investment) based on accurate statistics including open rates, click through rates, reading and clicks, email deliverability, shares and forwards. Furthermore, it is possible to distinguish the behavior of each user by selecting only his actions. As long as a brand remains in the mind of a consumer, the sales opportunities enjoy many more chances than normal and each email sent exposes readers to their business. Strategic planning, combined with targeted content and elegant design will contribute to the constant creation of value: an opportunity to maintain and increase brand awareness. It can also help your increase customer loyalty. This depends a lot on the database you have available. A good database is worth gold! Especially if well targeted. Usually the databases are divided by areas of interest, but could also be further segmented, for example by age groups, or by geographical areas. The more information you have available and the more your database is segmented, the greater the chances of creating personalized email marketing campaigns. You can easily check the results of an email marketing campaign. If the campaign aims to generate traffic to a website, you will be able to see how many more visits than normal were recorded in the period immediately following the campaign. If you aim to advertise a product, you can easily monitor the sales made through the link that you have entered in the email. The number one reason to continue using email marketing is that people are still checking their mail boxes. Interest comes and goes in relation to social media platforms, but e-mail constantly shows a high ROI for every dollar spent. Every day people are checking email, at least once. Many even spend their working hours with their email inboxes open. If your marketers are considering abandoning email strategies then you should get them to stop! Email marketing is here and will stay as long as email is still the cheapest, fastest, and most effective way to share information quickly. Start creating your own selection list today and tomorrow you can market for interested customers. The modern platforms for email marketing can be integrated in a simple and immediate way both on social networks and on company websites. This allows you to know and monitor the customer journey in all its phases and to perform various operations based on information collected, such as the recovery of abandoned carts or sending tailored offers. Email has the ability to integrate into any marketing strategies. Emails easily shifts to fill the blanks, creates lists of interested buyers, and provides information. Email works with your blog to share recent posts; it can merge your most interesting social media messages to an uninterested auditor to be in social media directly; it may notify people of webinar, agreement, and deadline for bidding; it can also be linked to your influential marketing campaign. As long as you are sending a list of recipients you have chosen, you are spending a lot of time spending time on an interested audience. With a well-built email, based on the requirements and preferences of your audience, you can automate this process to take advantage of your brand without major investments. 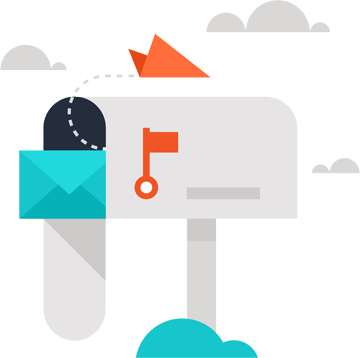 EvolveStudio allows you to perform a deliverability test to major email service providers with a single click.